Life Is What Happens: What Is Normal....? .........I have always admired people who can live in a normal way. You know, the ones who accept the ordinary, the repetition, the hum drum and still smile. They smile when it snows or rains or shines, nothing is too spectacular or too horrid for them, they just chug along accepting everything.....with a smile. Maybe they secretly have drugs or they have secret drugs, like mantras, "this too shall pass," they say or they quote from scripture. "the Lord giveth and the Lord taketh away." I wonder if they ever really think deeply about life. Do they ever try to measure it in something other than teaspoons or tasks completed? I am thinking about these steadfast pillars of the earth, as I sit here doing nothing, while a large Amaryllis stares down at me with its tongue out. Wait a minute, that's not a tongue. 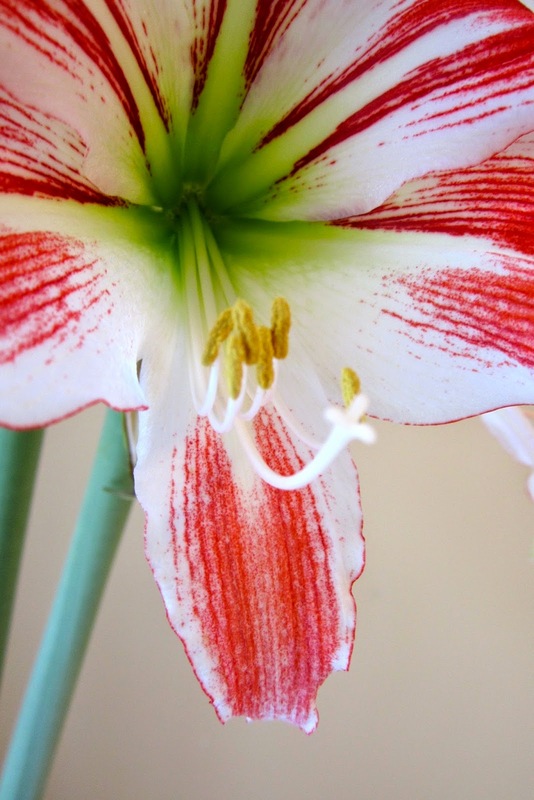 It's a pistol and stamens, the reproductive organs of a flower, a lily. Do those, who are productive, ever take time to muse about the productivity of a lily? A botanist would, of course, but then that's his job, he's being normal. Maybe a poet would, is he being normal, or is normal to a poet really abnormal to everyone else? What is normalcy anyway? I now measure my walks to and from work in folk songs. Depending on the length of the song, I can get to work in four or five songs. 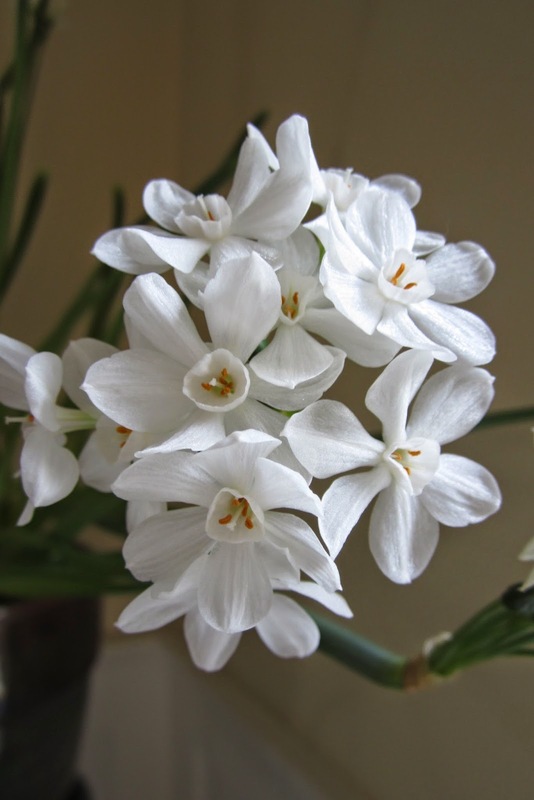 I pass the time between January and March in flower buds, lilies, paperwhites and hyacinth. And I pass the minutiae of my days dreaming of an escape, picturing the open road and wondering how to get there. How many folk songs would it take to get to the hills overlooking the sea? How many pistols and stamens, how many buds yet to open? Then again would a "normal" person just get out there and do it, rather than merely dreaming of it? Have a day, your way! !